Installation consisting of 15 concrete forms each containing various vibrating devices which produce a low pitched sound akin to a heart beat. 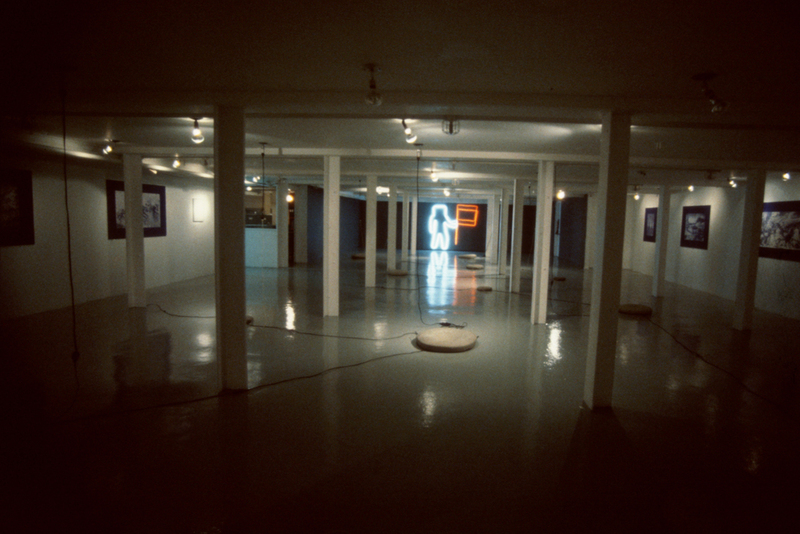 On the far right wall was a neon figure of an animated astronaut placing a flag down, opposite to this is a large photographic print of a single nerve cell magnified millions of times. On the surrounding walls were 12 blueprint images adapted from historical art imagery. “This installation deals with the human psyche or ones sense of what it is in regard to the many crossovers where science and technology reverberate the very roots of what we consider sacred. The actual physical form is that of concrete steel anchor forms made into various sizes and proportions which dominate and determine certain holding patterns, not unlike some minerals which are magnetized and others which are not. 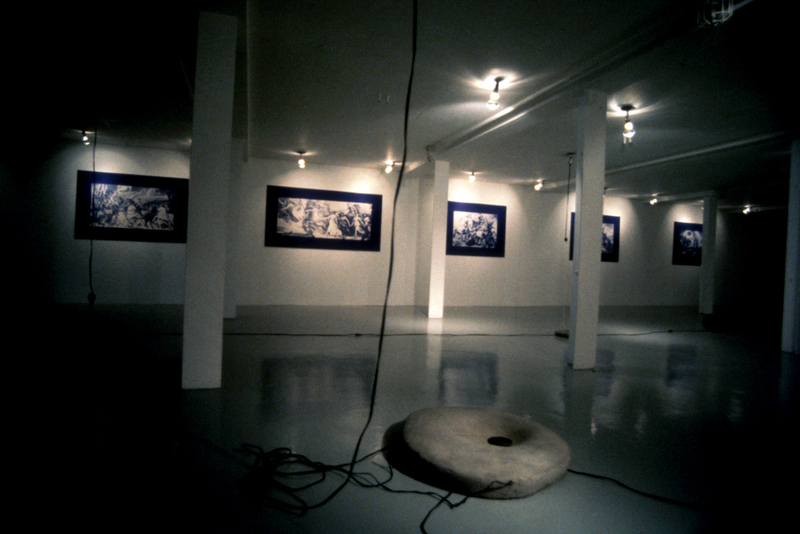 these forms are lying on the floor; in the far back corner wall is a neon figure of an astronaut placing a flag down, on the walls are blueprints taken from paintings of various historical battle scenes. The content has to do with territorial claims and the notion of imperialism in relationship to progress. In 1969 Neil Armstrong placed the American flag on the moon. It was the dawning of a new age where man was able to realize a great dream by setting foot on the moon which symbolized the restless dream of realizing impossible feats. This aspect of searching for unknown limits is not so different from the artist attempting to understand and project a sense of being. 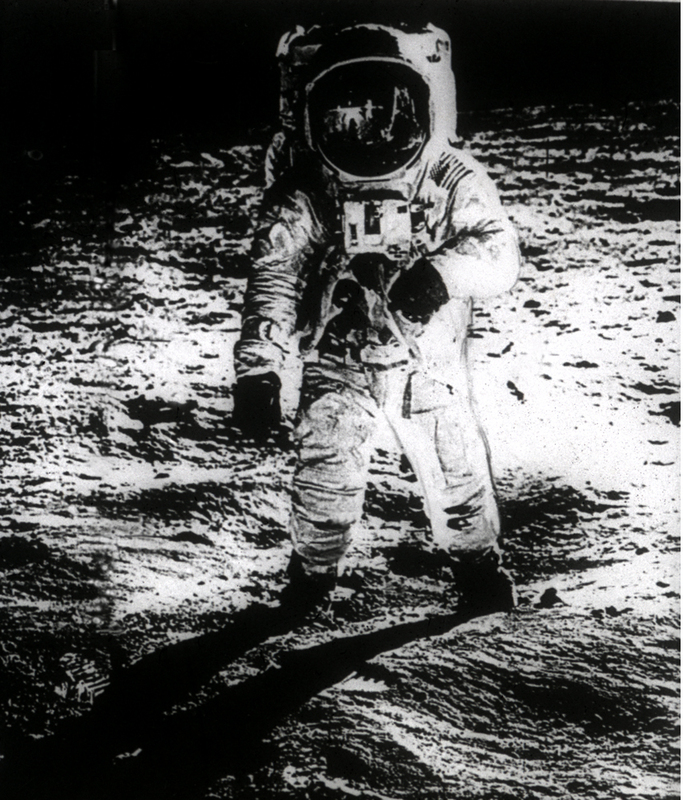 I identify the moon walk with the creative act and the search to discover the unknown. The installation I have executed here is an attempt to deal with the human psyche, or one’s sense of why this is, in association to the progress of civilization. It is an attempt to deal with the bridge between conscious rational thought and the instinctive inherent driving spirit which has driven men to hunt for food, fight great wars, build great dynasties and go into outer space to search for new frontiers. The human being’s inherent nature to conquer and establish power has left this planet on the brink of catastrophe. Perhaps we are still a primitive animal shrouded in a culture with advanced communication and technological wonder but ultimately a culture set on self-destruction. Here I have presented 12 images in blueprint form as exemplary paradigmatic images of cultural advancement. In this circumstance they are intended to function as archetypes symbolizing various moments of glory in the progress of civilization. They have been extracted from historical art work documenting in some cases great wars, in others simply illustrating the power, the glory and the struggle to survive. Some of the artists who originally conceived these works are known as great masters, other very early artists remain unknown. I have presented them as a document illustrating the gains and losses inherent to man’s achievements. On the far back wall is a large photograph of a human nerve cell magnified twenty million times. It is presented as terrain, landmass, a small segment of the mapping which exists within us all. To look inward perhaps is to look outward. Our nerves function as sensors in aiding to realize our sense of being. 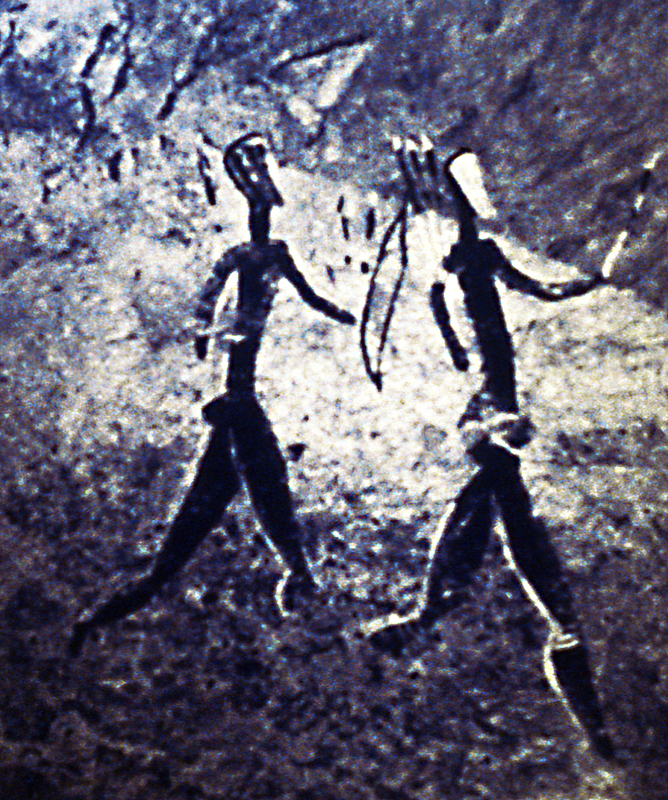 This image is intended to operate as a metaphor, a mirror image of one's self on a minute scale, one cell isolated from billions of which the human entity is composed.